So, this week I’m taking part in the Next Big Thing meme which has been going around various writer’s blogs..and very interesting they’ve been too. I was tagged by Keris Stainton and Ruth Eastham and you can read their posts by clicking on their names. The idea is that we share a bit about the book we’re working on, by answering some questions, which was actually quite hard for me. The thing is that I’ve written one book – first draft anyway – but now set it aside to work on another one, for which I have a looming deadline. And then there’s the musical for Lia’s Guide to Winning the Lottery which is taking quite a bit of my time. But this is the one I’m working on now, and this is the one I have a publication date for – all being well, January 2014. Salvage. I got the idea when I lost my kindle at a shopping centre and it was found by someone whose husband tracked me down by looking at the list of books and working out that Keren’s kindle was probably something to do with the Keren David whose books were listed there. He owns something called the Salvage Shop in north London. The name chimed with my latest idea. I read a news story ages ago about birth families contacting adopted children through Facebook, and then a social worker friend of mine said ‘I know what you ought to write a book about!’ and it turned out to be the same idea. You could call it contemporary realism, but I like BritGrit. Robert Sheehan who played Nathan in Misfits would be good for Aidan, as long as he can lose his Irish accent and Kaya Scodelario who was Effie in Skins could work as Cass, his sister. 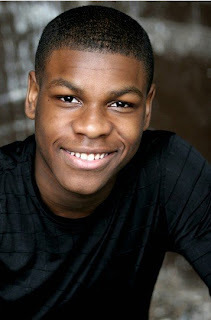 Will, Cass’s friend could be John Boyega who was in Attack the Block (lovely smile), but he’d have to grow his hair. When siblings Aidan and Cass are reunited through Facebook, painful memories can’t be repressed. It is represented by my agent, Jenny Savill of Andrew Nurnberg Associates and will be published in the UK by Atom Books. I’m still writing it! My deadline is December 15! Eek! It’s a bit different from my other books – more of an emotional family story. Maybe Katie Dale’s Someone Else’s Life. My friend the social worker, and another friend who talked to me about her experience of adoption. It’s possibly the darkest book I’ve written so far. Sara Grant – I can’t wait to find out what Sara’s working on, her Dark Parties is one of the best teen dystopias around. Savita Kalhan – a writer prepared to go darker and deeper than most, her The Long Weekend was one of the most terrifying teen thrillers I’ve read.